If you are thinking of adopting (or purchasing) a mastiff there are many elements to consider before you bring one home. On this page we will give you some of the general considerations of owning a mastiff of any breed. If you are looking for more specific information on a particular mastiff breed, please go back to the Education page and choose the breed from the list for further to discussion the more prevalent mastiff breeds, highlighting the characteristics, health problems, and general temperaments of mastiff breeds, from the Bull to the Neapolitan. The first thing that comes to anyone’s mind when you begin discussing a mastiff is, of course, the massive size. Even the smallest mastiffs are a force to be reckoned with, and you need to be confident that you are able to handle your mastiff at its worst behaved, not only at its best. Also keep in mind any friends or family that will be helping care for your mastiff on a regular basis. 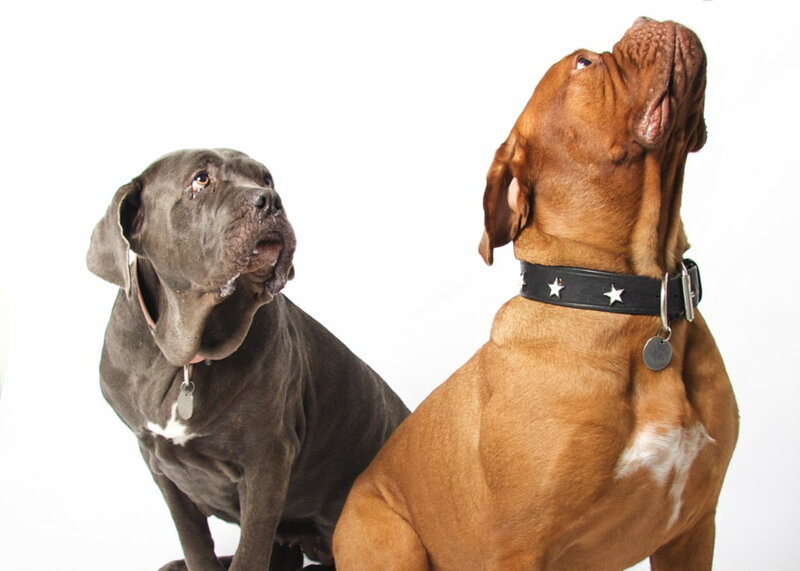 Healthy mastiffs are very strong, and although you do not need to be a body builder to handle one, you do have to stable enough to stay on your feet should your mastiff try to take after a bird, or squirrel. And with size comes space. They take up a lot of space. Whether it is the whole back seat of your SUV, the life raft sized dog bed, or the crate that takes up more room than a refrigerator, your mastiff and all of its things are going to take up a lot of room. Also remember that many apartments, hotels, and motels have size restrictions on dogs that are allowed and there is little chance of being able to sneak your mastiff in in a duffle bag. All mastiffs are derived from fighting and guard dogs, some more distantly than others but we’ll cover that in the individual breed write-ups. With this in mind, your mastiff will make a very loveable and loyal companion for you and your family, but without proper socialization, they can be wary of strangers, territorial, and protective in situations where it is neither warranted nor wanted. You can just about assume from the get-go that your mastiff will be dominant, and you can count on it to come out around 18 months. Many mastiffs that end up in rescue come in between 18 months and 2 years, when a family realizes they can’t handle the challenges from their once complacent pup. Recognizing this inherent tendency allows owners to take steps to insure that this trait does not become a problem. Consistent handling, basic training, and exercise are just of few of the tools to keep a happy and balanced mastiff. It is expensive to own a mastiff, even a small one. Many people understand the inherent expense of feeding a large dog, but neglect to budget for the other associated cost with owner such a large breed. EVERYTHING costs more! The bed, the crate, the collar, the dishes, the toys, the medications (including those yearly flea and heartworm preventatives), with the larger size comes a bigger bill. The costs associated with the common health problems in mastiffs are also HUGE! A torn cruciate will set you back $3000, bloat surgery is $4000, and those are just the common ones. Pet insurance is often a good idea, but make sure that there are no breed clauses, as even to insurance companies, mastiffs are notorious for health problems. Or as my vet once suggested: put the equivalent to a monthly insurance fee into a savings account for you big lug. Then if you need the money, it’s there for you, but if not, you’ll have a tidy little savings. If you’ve read this, and you still want a mastiff, then head back to the Education page to find what breed is right for you!